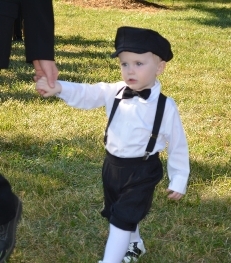 Big boy stretch elastic suspenders for ages 3 - 10 yrs. approximately. 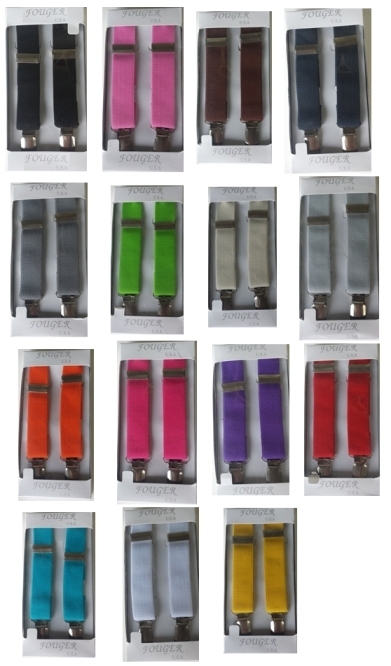 Quality made and durable 1 inch wide elastic with sturdy metal silver clasp. Stitched x-back style with 2 clasps in back. They come boxed. The elastic length is 35 inches.